Avi Reichental has an impressive resume, having served as the former president and CEO of 3D Systems for well over a decade. In 2015, Reichental founded venture and advisory firm, XponentialWorks. XponentialWorks works with companies across the spectrum of Industry 4.0, focusing on 3D printing, robotics, AI and deep learning. In parallel, Reichental has also gone on to serve as co-founder and chairman of a number of companies, including Nano Dimension, Nexa3D and Techniplas. This week, we’re excited to be in conversation with Avi Reichental, discussing how he has seen the additive manufacturing landscape has changed over the course of his career, emerging trends within the industry and advice for companies looking to embrace digital technologies. Could you tell me a bit about your background and how you became involved in additive manufacturing? From 2003 to 2015, I was president and CEO of 3D Systems, the company that really launched 3D printing. I’d fallen in love with the industry, its vision and its potential — so much so that after leaving 3D Systems, I decided it would be a great time to launch a company around the future of additive manufacturing. So I founded XponentialWorks, a company that focuses primarily on advancements in additive manufacturing and generative design. The company is geared towards disrupting industry barriers and applying other exponential technologies like sensors, AI and deep learning and robotics to make the use of additive manufacturing in production applications truly mainstream. For the past three and a half years, I’ve been focused on working with the right early-stage and mature companies to provide them with the knowledge and experience of people that are passionate about mainstream additive manufacturing. For us, the question is how can we combine the power of generative design and additive manufacturing to fulfil the promises of 3D printing? It’s also about unleashing the potential of free design complexity and optimisation, as well as using the right design technology to unlock benefits like lightweighting and topology optimisation without the traditional constraints that typically get in the way. Having been in the additive manufacturing for such a long time, what are your thoughts on how the industry has evolved over the years? There is no question that we live in exponential times. This means that the rate and pace of technological development and disruption are also exponential. We live in perhaps the most interesting period in recorded human history because we’re also benefiting from the convergence of other important technologies that are accelerating what’s currently possible. To illustrate my point: when I started in 3D printing in 2003, we didn’t have infinite cloud computing power, ubiquitous connectivity or access to cheap sensors. 3D printing was a subject that you’d go to a university like MIT to study, but it didn’t have any practical applications. Even robotics was largely out of reach, both cost and performance-wise. The idea of generative design wasn’t even on the drawing board. Not to mention the fact that with additive manufacturing, the workflows needed to create what we now call the digital thread were disconnected. The software to slice, prepare and orient files wasn’t as advanced. If you fast forward 15 years, all of this has largely been dealt with. The workflows are smoother, the machines are faster and the materials exhibit much better mechanical properties and performance. The use cases and applications are really making additive manufacturing and generative design the place where technologies will converge and intersect to define the factory of the future. Add to that the possibility of not only optimising parts and lightweighting them using generative design, but also combining parts. This means reducing the number of sub-assemblies, eliminating all of this sub-assembly potential labour in jigs and fixtures, simplifying the number of elements in an assembly and therefore simplifying the supply chain, procurement and inventory. Now, we have a new vision for flexible, toolless, digital manufacturing, that is good for business and also largely good for the environment and for sustainability. It’s a vision that will allow companies, large and small, to compete in a more competitive, global commercial environment, compress cycle times, produce better products faster and to support this incredible period of manufacturing. When it comes to additive manufacturing, are there specific industries where you’re seeing the biggest opportunities for growth? Yes. For example, we’re seeing that 3D printing is becoming one of the key tools in areas like dental care and dental restoration. The digital thread there has been largely developed all the way from intraoral scanning to the workflows and the planning — not just in the lab, but also in the dental clinic. So there you can see a market that is ready for mass adoption. 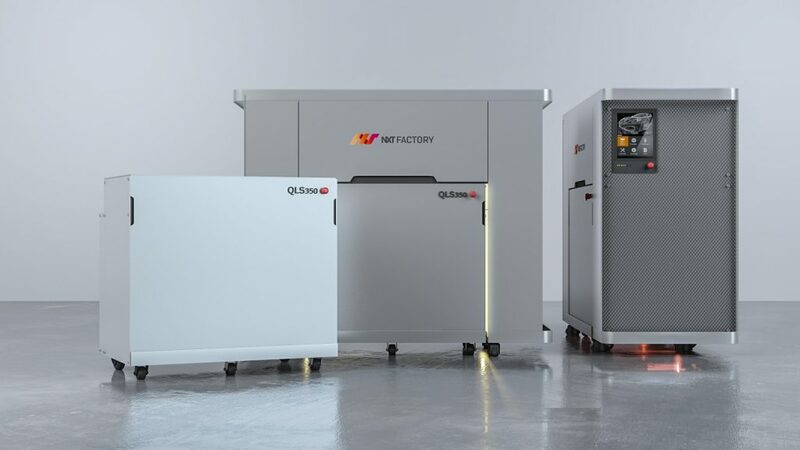 If you look at automotive, increasingly, many of the automotive companies are moving additive manufacturing from their rapid prototyping labs to the production floor. First, in the form of producing manufacturing jigs, fixtures, assembly gauges and the like. But very quickly with the advent of speed, scale and new materials, also onto certain parts of the automobile itself. My sense is that this will accelerate for a few reasons. One is the shift from the combustion engine to EVs that will, during an interim period, probably double the number of automobile models as companies race to create one of each, a combustion engine model and an EV as they transition. That proliferation of the models will necessitate greater manufacturing flexibility and faster adoption of flexible manufacturing methods like additive manufacturing. Secondly, in manufacturing, there are legislated targets for weight reduction. Lightweighting is a major forcing action in automotive and with this, all of the level one lightweighting — material substitution — has already been done. So the next logical step for automotive companies is to embrace generative design and topology optimisation to be able to achieve their lightweighting targets. 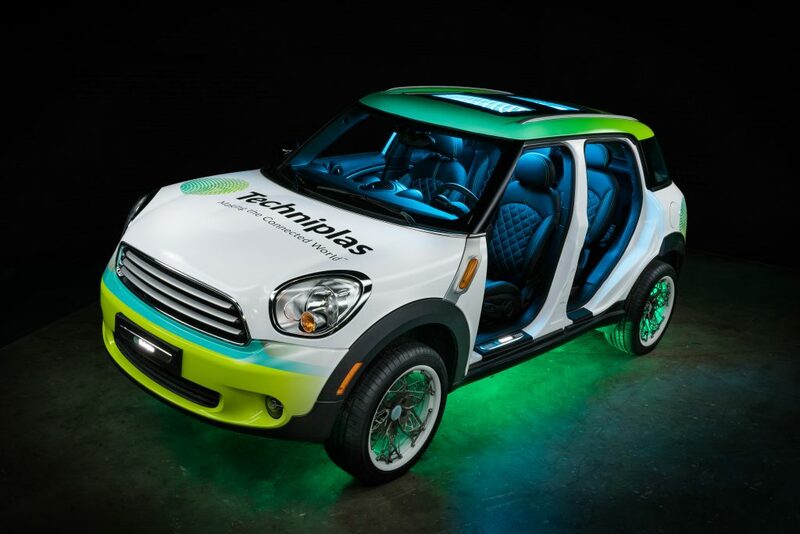 So that’s going to be another catalyst, if you will, in the adoption of 3D printing in automotive. The third area where I think think that there will be very large adoption will be in a variety of non-invasive and invasive medical device applications. The fourth will be in footwear, starting with athletic footwear, where the combination of generative and additive technologies can really begin to optimise performance. But eventually, we may see mainstreaming into everyday footwear as well. Those are a few of the areas where I see significant adoption over the next few years. Are there any trends emerging in AM that you’re excited about? There are a lot of interesting trends emerging. One thing we’re seeing is a great deal of innovation around speed and workflow and also material developments. Two, we’re seeing a great deal of disruption that is happening, not necessarily by the bigger incumbent players, but rather by the more nimble upstarts and younger companies that are really creating a paradigm shift in how one thinks about performance, utilities, speed, size and scale. We see a great deal of convergence and integration between AI, sensors and 3D printing in a way that completely unlocks and unleashes new applications and use cases. Another trend is the great deal of interest from traditional manufacturing companies that are understanding that in 2019-2020, 3D printing will become a major production tool. They are taking all the steps to get there. In the meantime, we don’t see any slow down in the rate and pace of innovation. Generative design and additive manufacturing are increasing. The number of patents that are being filed is on the rise. The amount of money that is being allocated by venture capitalists to early-stage additive and generative companies is on the rise as well. The value creation and valuation of some of these early-stage companies are already greater than the value and valuation of some of the larger incumbents. You put that all together and I would say there’s never been a more exciting time to be in additive manufacturing. Except until maybe next year. You raised a very interesting point about the younger companies entering the market. Will the established companies have to concede some of the market share towards the new players entering the game? I think that we live in a period in which you either innovate or evaporate. In other words, you either disrupt or you will be disrupted. Larger, established organisations have the benefit of having a great deal of investment in technology and manufacturing and support infrastructure, where they also have to continue to support certain technologies. But they also have a rather unfair disadvantage vis-a-vis new players because they have lots of legacy issues to deal with. Since they’re operating within certain technologies, they’re more likely to implement and introduce linear, incremental improvements. In contrast, a completely new company can solve a similar problem without any of the legacy technology and organisational issues. A new company can attract unlimited amounts of venture capital money to accelerate growth and therefore leapfrog the incumbents. Add to that the fact that the traditional stronghold incumbents had on access to markets via dedicated reseller channels is now being undermined and tested. This isn’t just by young companies, but also by the likes of brands like HP. Or you have companies like Carbon, which is bypassing the traditional channels altogether and going out to the market with an innovative direct subscription sales approach. What you have is a tale of two cities where the incumbents are playing defence and, certainly, by the numbers are losing share or treading water, whilst the newcomers are growing by healthy double and triple and quadruple digits in terms of revenues. The overall market is definitely growing strongly, by 20 to 25% CAGR. But within it, the bigger players are not growing that much. They’re growing in the low single digits because to a large extent they’re unable to innovate and disrupt at the rate that newcomers can. Some of the traditional strongholds that the big incumbents had on access to the markets are also being dismantled by this marketplace disruption of large and small companies. You put it all together and I think that there is just as much opportunity for the incumbents to disrupt as there is for the younger companies. As some of these younger companies get traction and commercial success, the challenge will then be to learn from their own early experiences, to continue to innovate and push forward. We now in exponential times, so the way one thinks about the useful shelf life of a product and go to market strategy has to become exponential as well. Let’s talk a bit about XponentialWorks and the work you’re doing there. What types of companies do you work with? At XponentialWorks, we’ve created a unique collider environment in which we work with early-stage companies primarily in generative design, additive manufacturing, machine learning, AI and robotics. We connect them with mid-market companies that wish to have access to early technologies and want to learn to walk and talk and behave like the early stage companies. On the other hand, the early stage companies are looking for these mid-market companies for early use cases and validation, as well as opportunities to solve various problems with the technology and access to markets and resources. We provide both types of companies, mature and early ones, with world-class services around core technologies and also around branding, marketing and IP. I personally get to spend a great deal of time with these companies in our innovation labs, guiding them in the hope that together we can get to commercial impact faster. For the large companies, it means that they get to have a first look at and embrace new generative and additive technologies sooner, within a powerful ecosystem. For the younger companies, it’s the chance to get to commercial traction and success sooner. What we’ve learned is that when companies at all stages work together, amazing things happen in terms of the capabilities and practical applications that come out of this collaboration. From XponentialWorks’ perspective, we see that this environment de-risks some of the likely failures that happen with early-stage companies. After all, stats show that 9 out of 10 early-stage companies fail in the first few years. We’ve been focused on ensuring that none of our early-stage companies has failed — they’re actually going from strength to strength. We have now companies like Nexa3D, which is really breaking traditional barriers around speed, value, build size, scale and materials. We have another very exciting Polish company called NXT Factory that joined us a couple of years ago, and is eliminating speed, size and automation barriers around polyamides, from PA6 to PA11 and PA12. It delivers an alternative to traditional injection moulding, using selective laser sintering at about 4X the speed of traditional laser sintering machines. And of course, we have ParaMatters, which is our crown jewel in generative design, topology optimisation, and automated workflow for orientation optimisation and simulation. It has developed a very powerful design and manufacturing engine that will begin to shape and inform the future of AI-centric design. We have other very successful companies like Apollo Robotics that is into high-speed data acquisition and analysis using multi-sensor environments and drones. The list goes on. When you’ve put all that together, we feel really blessed and fortunate and excited to be in an environment that is advancing the development of exponential technologies. We feel that collectively, we’re achieving exponentially more than we could on our own. How do you define the term ‘exponential technology’? To me, an exponential technology is one that goes through the stages of development, from when it begins to digitise all the way into the democratisation phase, where it becomes widely available, and almost into the monetising phase where in essence, it begins to completely replace and displace its predecessors. A good friend of mine, Peter Diamandis, coined the phrase “the six D’s of an exponential disruption”, which captures the phases that take a technology from a linear to exponential progression. Many people like to look at exponential technologies and say that they follow Moore’s law in terms of doubling up on capabilities and doubling down on costs every couple of years. That’s also a good way to look at it. Technologies I’d characterise as exponential today include AI and machine learning, sensors, 3D printing, robotics and all of the manifestations of ubiquitous connectivity and cloud computing. It’s also the convergence of sensors and democratised robotics with augmented reality, virtual reality and an abundance of relatively cheap computing power. It means additive manufacturing that is industrially strong in metals, thermoplastics and photocurable resins. 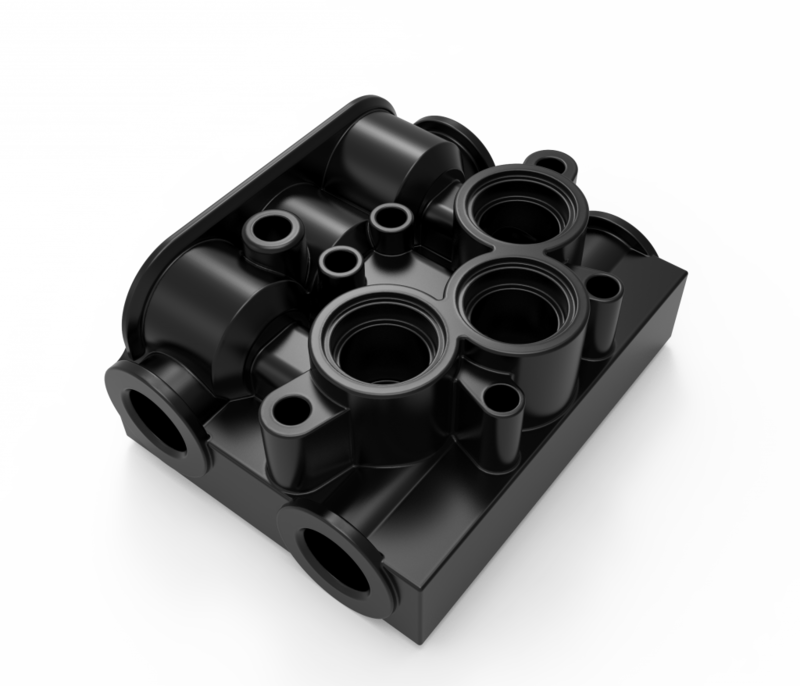 Generative design is taking that to the level of proficiency and utility that allows for real optimised manufacturing to happen. Exponential technologies are beginning to shape and inform what the factory of the future will look like. I think it’s much more congruent with the kind of product development cycles and product life cycles that will drive the economy forward. What impact will these technologies have on product development? Today, there’s a lot of pressure for companies to shorten the cycle of product development and commercialisation. That creates significant urgency within a market sector to bring a new product to market faster. When that happens, the utility and shelf life of a product get a different definition and the meaning of speed means the difference between success and failure in terms of time to market. But companies also need flexible manufacturing workflows and systems that are less dependent on rigid tooling and longer procurement lead times. Systems that, in essence, provide the flexibility to localise and distribute manufacturing, and simplify supply chains and inventory. So if a company wants to stay competitive in this era of consumer consumption and technology abundance, I think that generative design and additive manufacturing, alongside AI and robotics, present a large part of the solution. That’s why I’m so excited that XponentialWorks has been working with some of the most exciting younger companies that are passionate about being part of that solution. You’ve touched quite a bit on generative design and the opportunities that it brings. How can companies start to embrace generative design, especially when considering the challenges involved in design for additive manufacturing? The good news here is that some of the generative design tools are largely autonomous and automated. Let’s take our own company, ParaMatters, as an example. All you need to do is go to the ParaMatters website, register, upload the CAD file and ParaMatters does the rest. ParaMatters has a software called CogniCAD that takes your file and inputs and within 10 to 20 minutes, depending on factors like file size, you will get a ready to print file in STL format that is optimised and lightweight, designed for additive manufacturing. Of course, you’ll be able to run the post design finite element analysis to make sure that the part that CongiCAD designs for you meets all the load and performance requirements. CogniCAD can also automatically combine all the different parts into one homogeneous assembly. So it will do the assembly for you, lightweight it and combine it. CogniCAD is fast becoming your designer AI — that truly is how we think about design for additive manufacturing. What are some of the challenges the industry needs to overcome to accelerate the adoption of additive manufacturing? There are quite a few industry-wide challenges that need to be overcome. The first is it would be incredibly beneficial to all stakeholders and constituents if the industry had better standards overall, standards that are universally understood and accepted. With standards, companies can compare apples to apples and make intelligent decisions that can be implemented within a comprehensive ecosystem of suppliers, manufacturers and users. The second is the industry needs to mature and use much more transparent and responsible language. When talking about performance capabilities, like machine performance and material performance, we should really take a page out of more mature subtractive and injection manufacturing fields on how to describe, communicate and educate the market about the performance characteristics and capabilities of additive manufacturing. The third big challenge is learning how to build ecosystems and collaborate more to create a stronger industry. The size of the prize will be much greater if certain companies learned how to work better together. Of course, that’s not to say that competition is dead. Competition is king. Competition has got us to where we are. But in some cases, creating ecosystems and collaborating can be a significant force multiplier to accelerating adoption even further. What are some of the tips you’d give to companies looking to adopt digital technologies like additive? Companies should begin to embrace 3D printing if they haven’t already. But it has to happen incrementally. It has to start at the beginning, at the design phase. It can also start on the manufacturing floor with low hanging fruit like jigs, fixtures and assembly gauges. I think that at this point in time, every business ought to bring 3D printing at least to their design and rapid prototyping labs and engineering centres, just to begin to understand the power of rapid design iterations. For example, if you had a Nexa3D printer in your design office, you could begin to have a real part in your hands in 10 or 15 minutes. This means that instead of iterating once every few days or once a week, companies can begin to iterate and produce physical parts four or five times a day. When you can do that, your development accelerates and your total time to market speeds up significantly — and you gain a competitive advantage. When you do it in your design area, you begin to unlock the possibilities of how your future products will look like, you then can begin to transition to some simple manufacturing operations. As companies get more comfortable with the technology, that’s when they can begin to actually consider how to get to production. Once they know how to design and how to prototype successfully, they’re on their way to using additive as a manufacturing tool. Also, another thing to bear in mind is that companies don’t have to go it alone. There are lots of mentors, advisors and consultants that can help along the way. Of course, they can certainly reach out to XponentialWorks. A decade ago, there was a lot of hype around consumer 3D printing and many predicted that every household would soon have a 3D printer. This, of course, hasn’t materialised. What are your thoughts on the burst of the consumer bubble? I admit that I was one of the people that loudly and almost on a daily basis said and believed in consumer 3D printing. In fact, there was a period of time where I said that the right question to ask is not just will people have a 3D printer in their home but in what room in your house will your 3D printer reside? When I look back on reflection, the short answer is it hasn’t happened yet. Not because printers have not been democratised. They have. Today you can buy a simple FDM printer for under $200. The software has been developed to a point where more and more people can actually design without being designers. Connectivity and utility have improved a great deal. However, what we saw happening is that most of the so-called consumer printers went to schools, smaller engineering departments’ desktops, makers and small businesses. They haven’t quite ended up at home because that material selection and the available design and the complexity simply made it not such a consumer-friendly tool. I was certainly wrong about that and certainly wrong about the timing. What I see happening now is that there are printers in schools and libraries and garages and on engineers’ desktops. Those printers are getting faster and better and cheaper. The software is becoming more and more cognitive. More and more companies are putting their designs online. My sense is that sooner rather than later, 3D printers will make their way gradually back into consumer applications. What’s missing is the consumer application that will really make it viable and exciting. So to sum up, I still believe that we will see a period of greater home use. But we’ve certainly been wrong about the timing – it’s going to take a bit longer than first predicted. I’d say that after 15 years in additive manufacturing, I’m more excited today than I was when I first started. It’s exciting to think that the industry will become even more relevant in the future. Additive truly has unlimited potential to reshape the way that we design, manufacture and even communicate. It’s not just about the potential value and wealth creation for the participants and for the players in this industry. It’s about making a real impact in the world in the way that we create, produce and live our lives. That’s the ultimate goal: all of the participants and stakeholders within 3D printing can be part of a bigger picture in terms of making everything around us better with 3D printing. 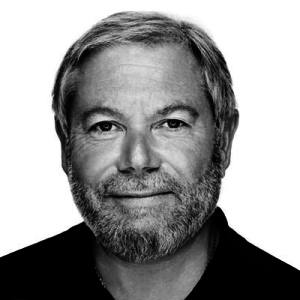 Avi Reichental is a leading authority on 3D printing and exponential tech convergence. In 2014, he was named by Popular Mechanics as one of the top 25 Makers Who Are Reinventing the American Dream, and was listed by Fortune magazine in 2013 as a top 50 business leader. His acclaimed TED talk about the future of 3D printing has garnered more than 3 million views. In 2015, he became Founder, Chairman, and CEO of XponentialWorks, an advisory, venture investment and product development company. Prior to that, he served as President and CEO of 3D Systems. He holds numerous leadership roles in the 3D printing industry, including Chairman of Nano Dimension, CEO of Techniplas Digital, Executive Chairman and Co-Founder of Nexa3D, and Executive Chairman of NXT Factory. Reichental is also a general partner at OurCrowd’s Cognitiv Ventures fund for AI startups, and is Founder & Executive Chairman of ag-tech pioneer Centaur.